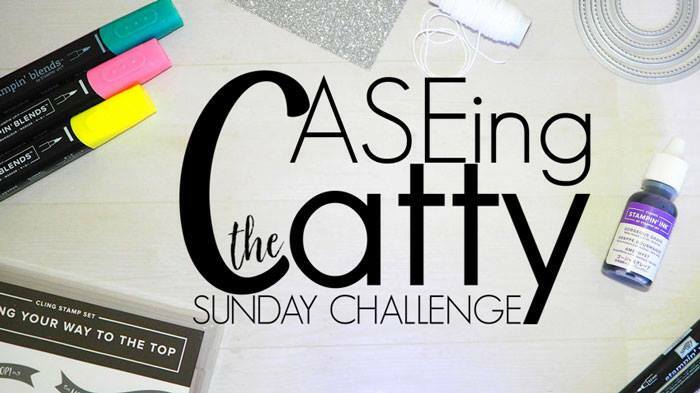 Welcome to another week at CASEing the Catty Sunday Blog Hop, where we take a look at one of the sections of a current Stampin' Up! catalogue and use the projects within it to inspire our own creations. 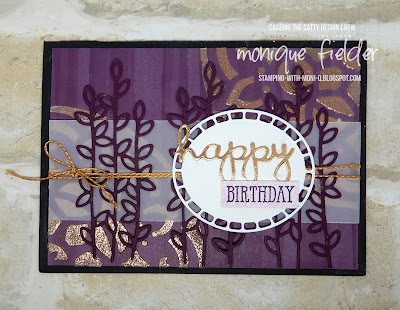 This week we are taking our inspiration from any of the Big Shot projects in the Occasions Catalogue. I was inspired by this image from page 27 of the Occasions catalogue. 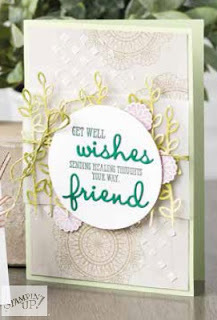 I liked how soft and pretty it is, the use of the Well Said Bundle elements, and the background created with embossing paste and stamping. When it came to CASEing the original I decided to head in a slightly different direction, keeping some of the main elements, but changing up the colour scheme to give it a richer and bolder feel. I didn't have a doily stamp so decided to use my embossing paste and the large mandala mask, then sprinkling the damp paste with copper embossing powder. I love how the it turned out, adding the right amount of glam to the card without going over the top. The copper twine is from the Notes of Kindness Kit, I really wish this was available to purchase as I would use soooo much of it! 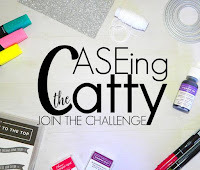 I hope you are inspired to join in the challenge this week, just use the samples of Big Shot projects in the Occasions Catalogue to inspire your creativity, then post a picture of your project to the CTC Facebook page. Time to hop on over and see what Sandra has created this week. All the content, including the design, digital images, ideas and text are Copyright ©Monique Fielder. The content of this website is shared for your own inspiration and enjoyment only and I ask that you do not use any of the content for any other purpose, including, but not limited to, other websites or for use in promotional material.